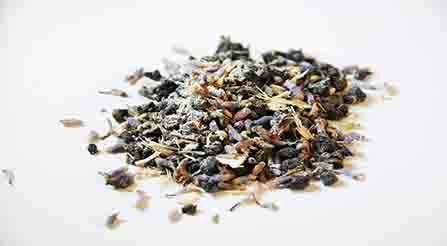 If you are a great fan of Lavender Flowers, our Tea Blend No. 02 of Majesty Oolong is a perfect tea. Not only it has a delicate French Lavender Flowers aroma but also sweet after-taste after you sip it. The sweetness from our high-grown Taiwan Oolong Tea is well-combined with our secret recipe. Thus making it one of our best selling signature teas of all time. To brew, 1 teaspoon is brewed using 90C of water temperature and can be infused for 2-3times.